An employer’s unstated commitments (the intangibles) far outnumber the stated ones. Leadership is a hot topic right now. Everywhere on LinkedIn you’ll see posts that in some shape or form promote empathic leadership. We are collectively trying to create a new organizational style. We want workplaces that are psychologically safe. We want to create environments where people feel free to speak their minds. We are trying to weave flexibility into the fabric of companies. And most importantly, we want leaders to support their people by listening to them, promoting innovation, and giving a voice to all. This is no small feat! A rather tall order for the entrepreneurs of the world. The leader is responsible for creating the fertile ground for people to thrive, i.e. 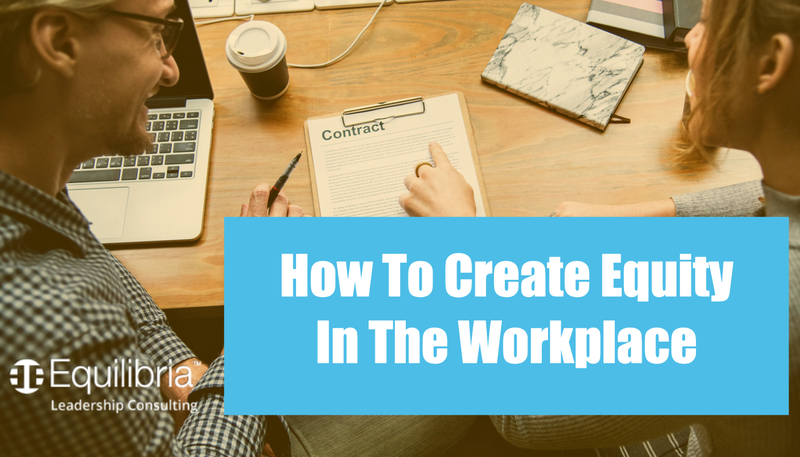 an employee should expect a psychologically safe work environment, the resources to do his/her job, and the employer keeping up their side of the psychological contract. Every company and every boss enter into a psychological contract with their employees. Denise Rousseau, a professor at Carnegie Mellon University, defines the psychological contract as an individual’s beliefs about the mutual obligations that exist between the employee and the employer. These obligations involve both stated and unstated promises the parties make to one another. The employer’s stated obligations (the tangibles) include pay, reward systems, benefits, and resources to do the job. An employee agrees to arrive on time and work to fulfill the employer’s expectations. John Stacey Adams created his equity theory in 1963, positing that an employee will only be motivated to work if they perceive the rewards for their work to be fair for the output expended. Equity theory is ultimately based on perception, however: what we perceive to be fair and just. Fairness can easily become subjective when dealing with a wide range of personalities in the workforce. Two employees may have completely different ideas of fairness for the same work output, and an employer and employee may also be on opposite sides of the fairness fence when it comes to the relationship between work output and rewards for said work. Adding to the subjectivity is comparison. An employee may have been fine with his / her company’s reward system until they discover some other company’s reward system for the same work output. Now they want what the employees at that other company have, the perception being that the employees of this other company have it better. The key word here is perception because that’s the trigger for unfairness to be felt. If someone perceives something to be unfair or inequitable or feels an unfair expectation in play, then defensiveness, blame, and finger pointing will rear their heads; it’s hard to repair that. Balance the Scales. What will most assuredly incense co-workers? Seeing a colleague get credit for something he/she didn’t do or receiving special (unwarranted) treatment. Make sure everyone understands the reward system and clearly communicate why someone has received a reward and how others can win, too. Look for injustices and swiftly correct them. Again, scan for your own biases and recognize when you unfairly grant a favor or make an exception for one person and not another. Manage expectations early on. Employees come into a company with expectations. If managers don’t manage these expectations about what’s possible (available rewards), then those expectations will grow. Assumptions will be raised and be based on inaccuracies. Give employees a transparent look into what is and what’s not the case of a company, i.e. what’s available to give them and what’s not available. Reality check with your people. Make sure everyone knows it is a two-way street. Employees can also be responsible for developing their own intrinsic motivation. The onus can’t 100% be on the leader or owner. To some extent, employees need to take responsibility for their own engagement, development, progress, etc. Create an autonomous environment. Employees should feel empowered to take responsibility for their development and professional enhancement. Create an open atmosphere for communication. If an employee doesn’t like how things are they should feel comfortable to communicate these feelings. Walk the walk and talk the talk. Creating this autonomous, open atmosphere means an employer must adhere to it. Leaders need to allow for employee feedback regarding fairness and not get annoyed when people do speak up. Leaders have a lot on their plate. Keeping all parties satisfied can often feel like walking a tightrope. It’s easy to point the finger at higher-ups and blame them for our own dissatisfaction. It’s harder to self-examine and take ownership of our own shortcomings. If we’re not motivated, it may be the fault of your company and leadership team, but the reason may also lie within you. When it comes down to it, we are all leaders of our own lives. We all have the ability to empower ourselves should we so choose.